There are all sorts of calendar apps available, but have you tried Google Online Calendar for Business? Google Calendar has cloud service, a feature-rich web client, and intuitive Android and iOS applications. Let’s go over the features of Google Calendar and everything you need to know to start using it. Check coworkers’ calendars to see their availability for meetings. 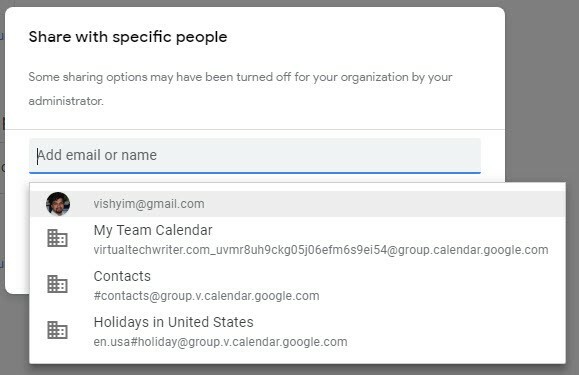 Invite those without Google Calendar to your event if they have a valid email address. Check the availability of conference rooms or shared resources for meetings. Share calendars so others can see your availability or full event details. View and maintain your schedules from your phone, tablet, or laptop. 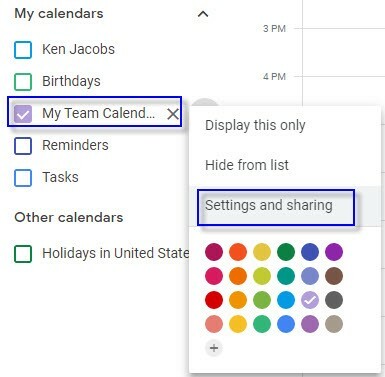 Share calendars on the Internet. 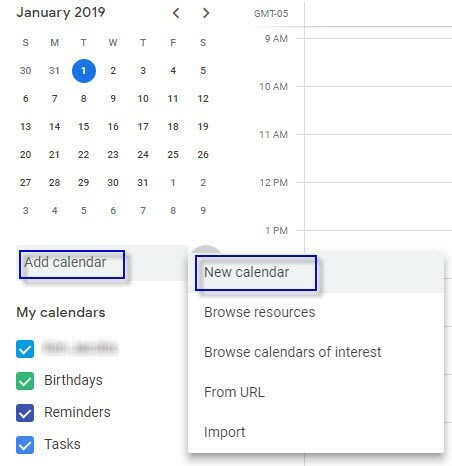 Upgrade to Google Calendar from Exchange, Outlook, or iCal, or directly from .ics and .csv files. Set reminders in Google Calendar that will remain until they are marked complete. Reminders that are scheduled through Keep, Inbox, and Google Search App will also show up in Calendar. This one’s admittedly empty—it’s a new year, after all! But let’s change that. 1.In the left-hand navigation, click the Add calendar field. Then, select New calendar from the dropdown that opens. The New calendar dialog displays. 2.Enter a name and description for the new calendar in the appropriate fields. 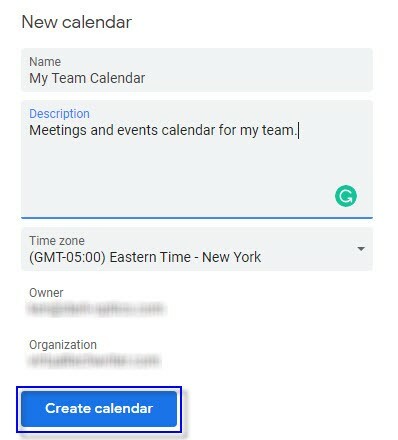 The dialog automatically shows the owner of the calendar and the name of the organization based on your Google Suite information. 3.Change the time zone to match yours. 5.Click the Configure link to configure your calendar. 1.Click on the time and date for the new event. As you can see, there are several details that you can specify for a new event, such as the type of the event and the calendar it should go on. 2.If this event is just for you, click the Save button to add it to the calendar. But if you need other options, such as inviting others to the event, click the More options link. Mark the event as all day. Mark the event as recurring. Add a location, such as a conference room. Add a notification for yourself. Change the calendar if necessary. Color-code the event on your calendar. Mark your time as busy or free for this event. Mark the event as private or public. Invite others to the event. See the guest list of invitees. 3.Click the Save button to save the event to your calendar. That’s it! 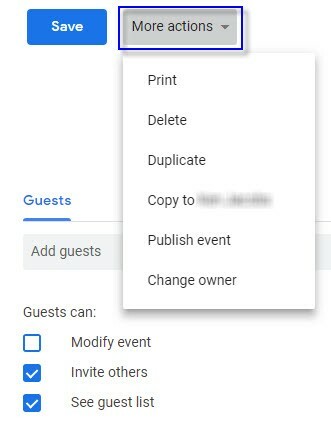 Now that we’ve covered how to add an event to your Google Calendar, let’s go over editing an event you’ve already created. 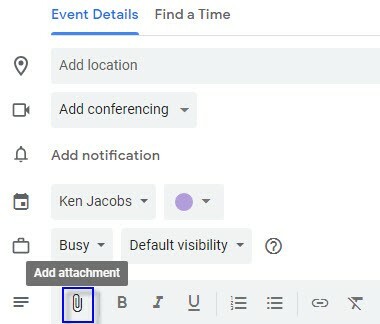 1.If you need to change an event, first select it from your calendar. Pencil—allows you to edit the event. Trashcan—allows you to delete the event. Envelope—allows you to invite others to the event via email. Three dots—opens the Settings dialog for the event. Copy the event to another calendar. Change the owner of the event. 1.Go to the left side of the screen where My calendars is located. 2.Select the drop-down menu, and go to Settings and sharing. This will take you to your calendar settings. 3.Scroll to the Share with specific people section, and enter the names or email addresses of the people with whom you’d like to share your calendar. One of the benefits of sharing your calendar and events with others is being able to send a quick email to everyone who shares the calendar. This is very important when someone is running late to a meeting or needs to reschedule the meeting altogether. It’s also much more efficient than creating a group text message, where you’d need to enter the names of the recipients one by one. 1.On the Event Details page, click the Add attachment icon. 2.Browse to the location of the file you wish to attach to the event. 3.On the Select a file dialog, select the file(s) you wish to attach. 1.First, select the Year option in the upper-right-hand corner of the page. 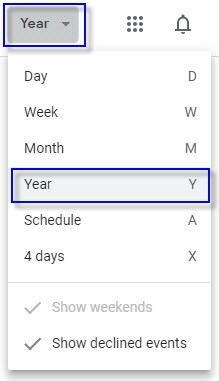 2.Select a date from the Year View page. If the date has no events or appointments the date will display the following message. Otherwise, if the date (such as the 9th in the example below) does have events, their details will be shown in a pop-up box. 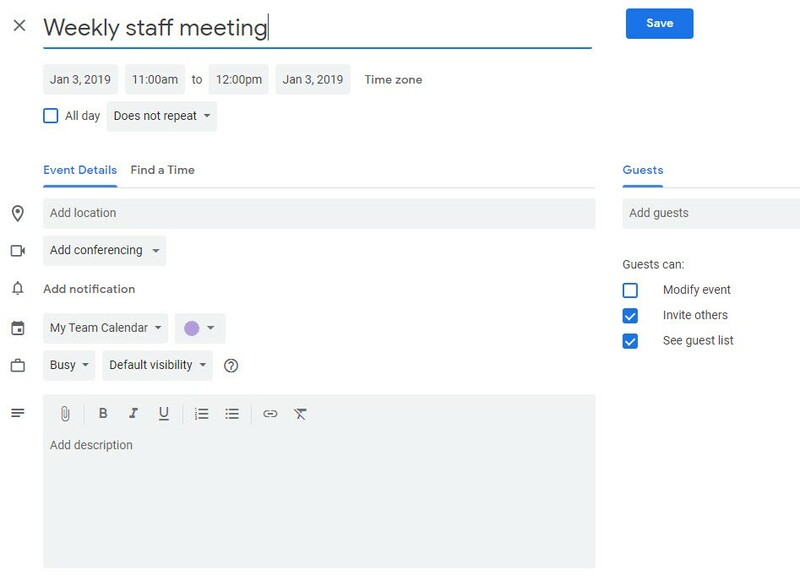 Google Calendar integrates seamlessly with your other Google Suite applications, especially when it comes to creating and maintaining calendars for teams or companies. Looking to manage your workday more efficiently this year? 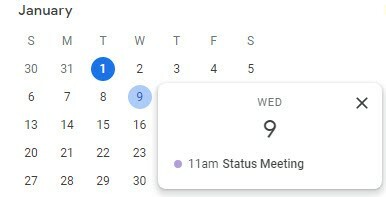 Google Calendar’s a great place to start.